Available in OH, IN, MI, PA, VA & WV. You can choose coverage and coverage levels that go far beyond golf cart insurance that is attached to homeowners policies. 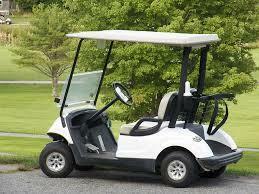 Can insure Golf Carts licensed for road use. We cover virtually all years and makes of golf carts, as long as they are NOT used for commercial purposes, or rented/leased out by the insured. I handle all quotes personally and privately.